The use of all natural sleep aids can work for many people and eliminates the risk of prescription drug side effects. Of course speak with your doctor to discuss both options to determine which one is best for you. Prescription drugs may help with symptoms, but they don't address the underlying root cause(s) of your sleep problem. Even during my years of insomnia and sleep problems, I chose to try natural remedies for my insomnia. Often it will be a combination of lifestyle choices involving stress reduction, more exercise, a healthy diet, and improved relationships to get the results you are looking for. Here are some of the things I have found helpful to help me get to sleep quicker and to stay asleep. Working as a registered nurse with a long commute, I left home at 6:30 AM and would get home between 6:30 and 8:00 PM. This didn't leave much time for exercise. My job entailed sitting at a desk using a computer and a telephone. Unfortunately, this scenario is true for many of you as well. People sit in their cars for a long ride to work, sit in front of a computer all day and then sit in the car for a nasty commute home. Lack of exercise and lack of exposure to natural daylight wreaks havoc with my ability to sleep. 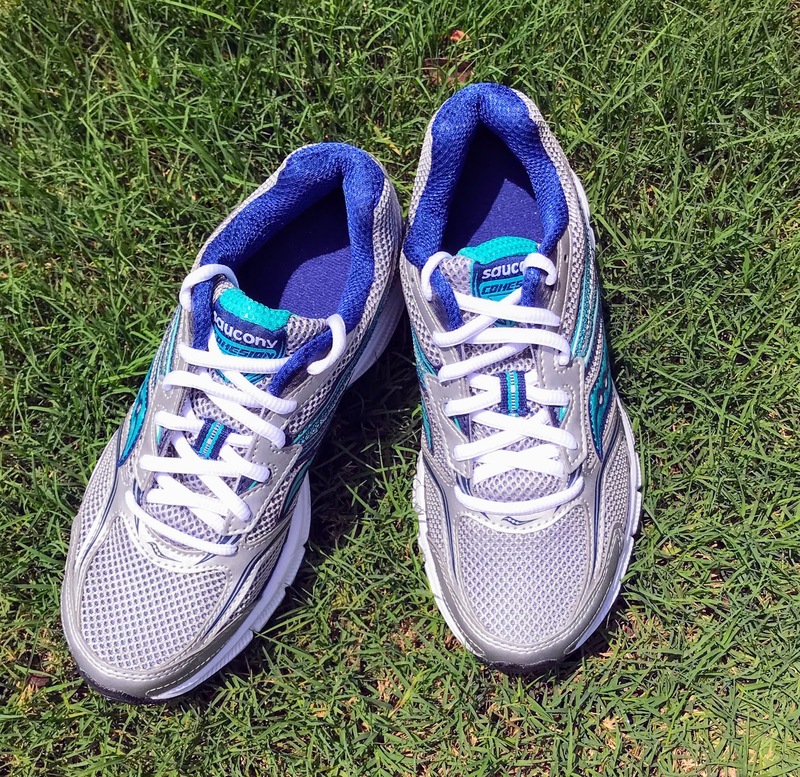 Once I started implementing more exercise, often just walking, I noticed an improvement in my sleep. Find out what kind of exercise you need, how long you should exercise and when to exercise. 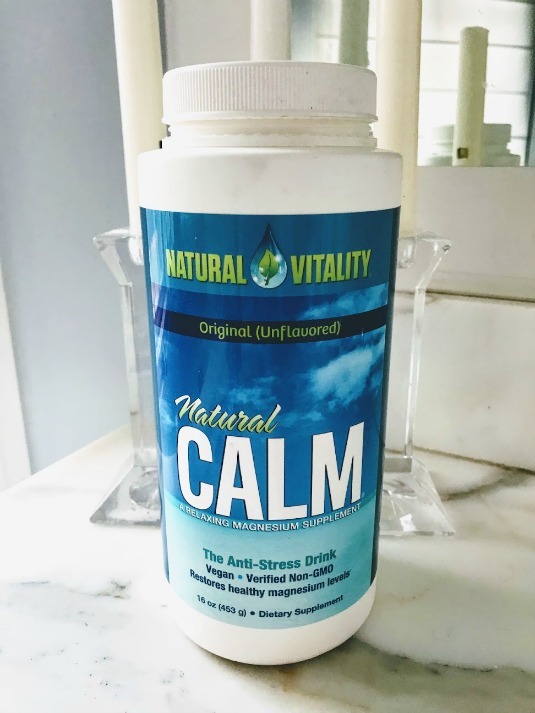 Magnesium is an essential mineral and is necessary for healthy heart rhythms, blood pressure, and muscle and nerve function. 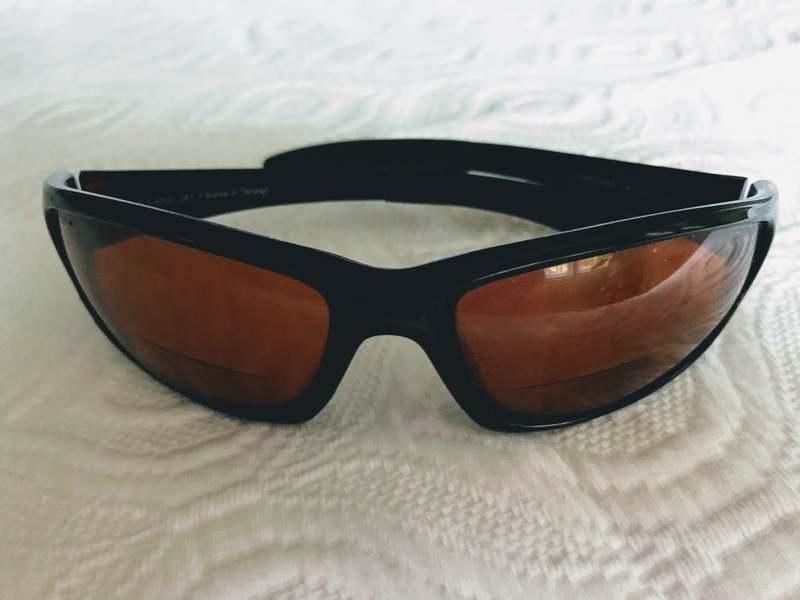 You may be wondering why there is a picture of a pair of amber lens sunglasses instead of a bottle of melatonin. 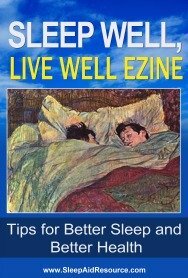 Did you know that there are things you can do naturally to increase your melatonin secretions? You don't need a melatonin supplement to do this. There are actions you can take not only before bedtime, but early in the morning and during the day that influence how much melatonin you produce. Turning off melatonin production by the pineal gland is just as important as turning it on. Find out how to naturally boost melatonin to get you to sleep fast and soundly. It's hard to stay away from electronics in the evening - iPhones, tablets, Kindle Fire, iPads, etc. But did you know that the blue light emitted from these devices interferes with melatonin production and can disrupt healthy sleep patterns for many people? For those who do have trouble falling or staying asleep, I recommend that one stops his/her use of electronics at least 2 hours before bedtime. There are two reasons - one is that it can stimulate the mind too much - whether it's reading about some upsetting current events or getting a disturbing text message. The other reason is that in order to foster your melatonin production - which is essential for healthy sleep - one needs to avoid blue light at night. If that seems impossible for you then invest in a blue light blocking filter. These filters are made for specific devices and makes. Get one for your phone, computer, and tablet. 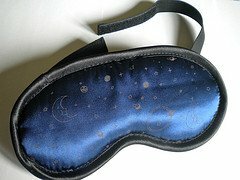 Sleep masks are a great all natural sleep aids. 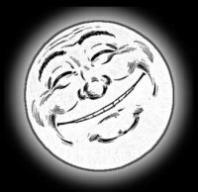 Darkness promotes sleep while light promotes wakefulness. So, bring on the darkness. An inexpensive way to do this is to use a sleeping mask. 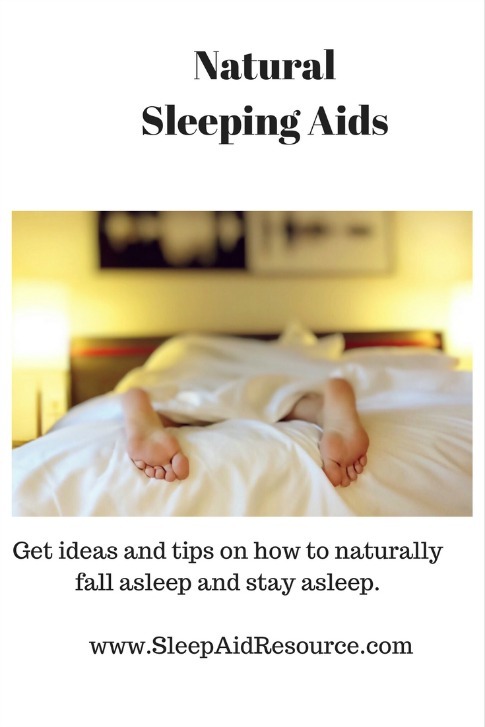 This sleep aid is helpful for those who work at night and sleep during the day, for those who get night time light or early morning light in their room, for those who travel a lot, and for those with a bed partner who likes to read when you want to sleep. Many people know that caffeinated drinks such as sodas and coffee can interrupt our sleep, but did you know that food can also either enhance your sleep or hinder your sleep? You will find that as you improve your diet to improve your sleep that your general health will be better too! I find that just the act of sipping a warm tea is relaxing and enjoyable. Combine it with a "not too exciting" book and hopefully you'll be ready to fall asleep when bedtime comes. Many people, including myself, look for ways to help calm down at night. 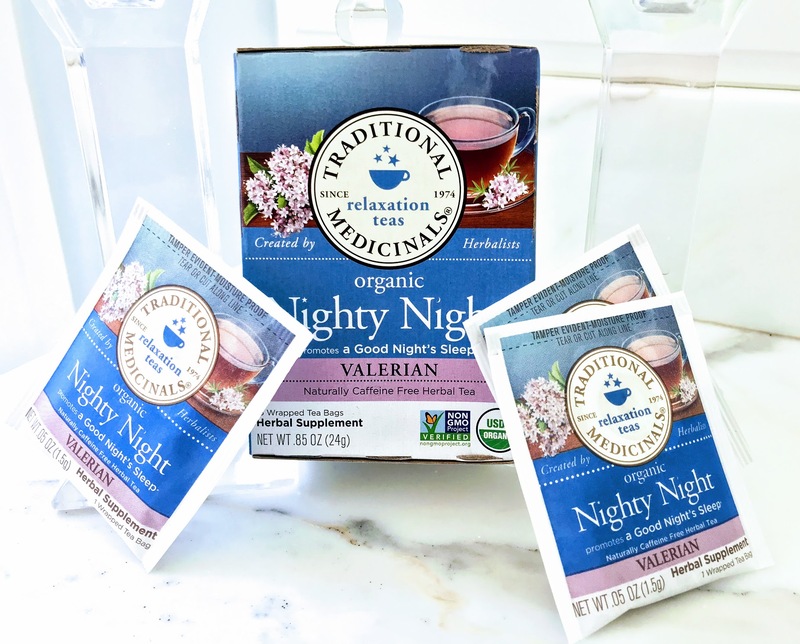 One way to do that is to include some type of sleep tea, like valerian root tea into your evening routine. Light boxes are known for their ability to help enhance mood, increase energy and promote better sleep. Give your body some help to re-sync it's circadian rhythm and internal clock with light therapy. 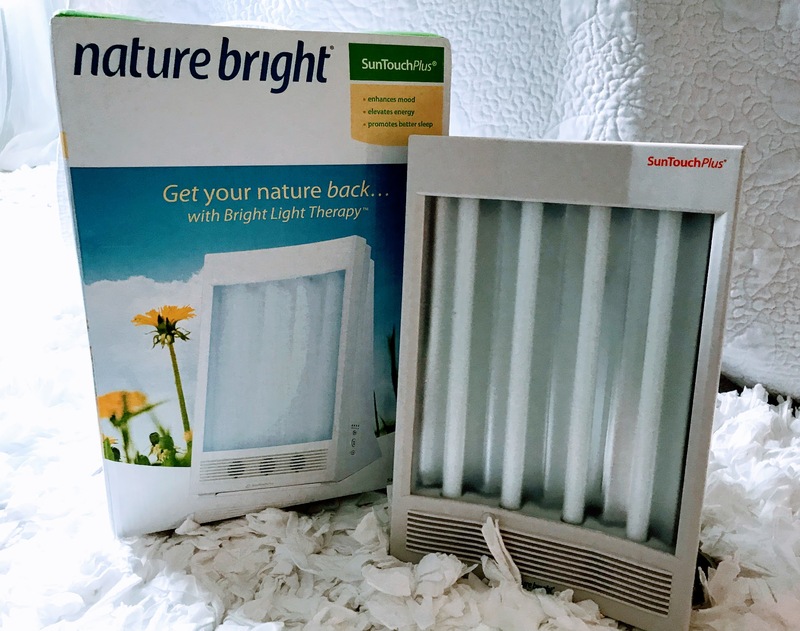 Look for a 10,000 Lux light box like this one pictured. 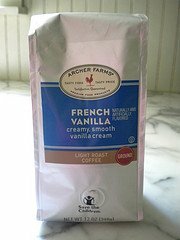 Simply set the timer option of 15, 30, 45 or 60 minutes and place it on your kitchen table while enjoying your morning coffee or catching up with the news. Or use it on your bathroom counter while putting on your makeup. For maximum benefit place your light box near you at eye level so the light bathes your face but do not look directly at the light and don't wear sunglasses.